October 4, 2014 , Morrison, Colo. – Thousands of Jeep® and O.A.R. fans will converge among the legendary Colorado rocks Saturday night, Oct. 4, to hear the band perform at the Red Rocks Amphitheatre for the annual Jeep on the Rocks concert experience. O.A.R. kicks off their Colorado experience by off-roading in Jeep Wrangler SUVs through Idaho Springs, Colo., seeing the glorious Rocky Mountains up close in a way only a Jeep vehicle allows. 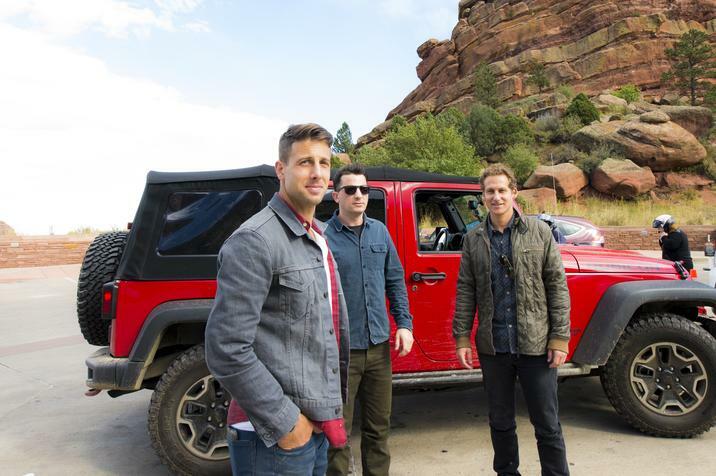 Following their experience on the trail, the band will take to the famous Red Rocks Amphitheatre stage for a special concert sponsored by the Jeep brand as a thank you to the fans of O.A.R. and the iconic off-road vehicles. 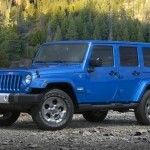 “Colorado is full of devoted Jeep enthusiasts, and we could not think of a more fitting way to celebrate their loyalty than to host a concert under the stars at Red Rocks with a legendary live performer like O.A.R.,” Jeff Hines, Director of the Denver Business Center, Chrysler Group LLC, said. The doors open at 5:30 p.m. Mountain Daylight Time at Red Rocks Amphitheatre with special Jeep vehicle only parking areas. Concert goers will be treated to a variety of ticket give aways and interactive product displays, including the all-new 2015 Jeep Renegade and a host of concept Jeep vehicles. At 7 p.m. Mountain time, the concert begins with the band Parachute as an opening act for O.A.R., the headliners. O.A.R. is renowned for its intense, vibrant live show – including selling out Madison Square Garden twice – and the communal feeling it shares with its fans. With each studio album, the band has endeavored to achieve that sense of intimacy. The Rockville LP, O.A.R.’s eighth studio album debuted at #13 on the Billboard Top 200 and #1 on the Independent Albums chart. The Rockville LP also hit the top spot on the iTunes Rock Albums chart and #3 on iTunes Overall Albums chart. The hit single, “Peace,” reached #1 on the iTunes Rock Singles chart coupled with television performances on The Today Show, Live with Kelly & Michael, Conan, VH1’s Big Morning Buzz Live and a national tour. Jeep’s Summer Celebration Continues With USA Basketball Team National Point ..
Jeep Brand’s Summer Celebration Continues as Fans Offered Once-in-a-Life Opportunity to play Jeep “Open Air Challenge” with USA Basketball Team .. Tagged Chrysler Group LLC, Jam bands, jeep, O.A.R., Red Rocks Amphitheatre.